Helen Thomas is a senior lecturer in the Education Department leading and teaching on Primary Mathematics postgraduate and undergraduate modules as part of Initial Teacher Education and BA (Hons) Education Studies courses. She is passionate about the role of mathematical talk and creativity in mathematics to support and engage learners and inspire a love of mathematics. Helen has a PGCE in Primary Education from the University of East London. 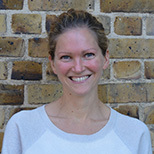 Helen started her teaching career in South East London 9 years ago, where she initially held the roles of PE and International Schools Coordinator. This led her to spend some time in Malawi developing international links and supporting curriculum development. She later acquired the role of Mathematics coordinator whilst completing the master’s accredited course of Primary Mathematics Specialist Teacher (MaST) at the Institute of Education. During her career, Helen has also taken on the roles of student teacher mentor and NQT mentor and particularly values the opportunity to use her skills in this area to support LSBU students whilst on placement in educational settings. Helen’s teaching interests include the pedagogy and practicalities of teaching mathematics to Primary aged children. She is passionate about the role of mathematical talk and creativity in mathematics to support and engage learners and inspire a love of mathematics. Helen also acts as a University Supervising Tutor: coaching and mentoring trainee teachers during school placements. Helen is the author of a chapter for a book entitled ‘Maths Teacher Support Series: Mathematical Thinking in the Upper Primary Classroom’. The aim of the book is to support maths leaders in South African schools. The book is part of a series providing practical classroom activities underpinned by sound pedagogy and recent research findings.